FZ S is a fusion of machismo and fashion looking alike European model bikes with excellent performance and handling. Check out the review to know the features, technical specifications & price. After the phenomenal success of FZ-16, Yamaha has come out with yet another version called FZ-S. Yamaha FZ-S pushes the style quotient of Yamaha FZ-16 to another level by adding new colors and graphics, aerodynamic chiseled windshield, stylish and sporty carbon patterned meter console and a more aggressive looking headlight. FZ-S surpasses in looks not only in its segment but also in the higher segment too. It is designed to gratify bike enthusiasts in India. All in all, the bike is definitely a matchless blend of machismo and living fashion. FZ-S does not employ a brand new engine. It rather has an advanced version of FZ-16 model. The bike has an air-cooled, 4-stroke SOHC engine, which delivers a maximum power of 14 bhp @ 7500 rpm. The tyres are tubeless. Having introduced this new stylish variant, the shortcomings of its earlier model have been checked. FZ-S is a derivative of European bike models. It is highly acclaimed for its flamboyant style with stunning colors and graphics. The new carbureted engine gets the complete "hunk look" with its beautifully curved design that speaks volumes for the power-packed machine. This aerodynamically engineered bike has a sporty black digital speedometer console with combative headlight. The headlight comes with a cap and a few new stickers. The instrument panel is pretty much same as before, but the digital tachometer has been replaced with an analogue one. 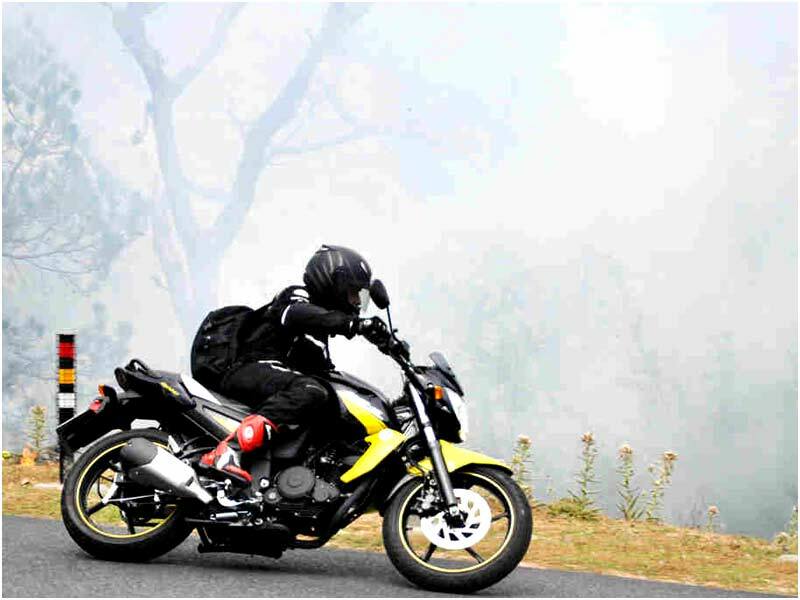 Yamaha FZ S is so designed and engineered to offer the maximum level of enjoyment for street riding. The style brings a sense of pride to the owner of the bike highlighting every reason instilled by its suitable tag line "Stylish Macho Street Fighter". The Full Liquid Crystal Display meters on FZ-S are well designed to keep vision clear. The monocross rear suspension unit serves 120 mm of wheel travel, while the optimized oil and damping valve specifications ensure good running performance and handling. The two-pot caliper makes full use of the outer perimeter of the front disc to provide strong braking power. 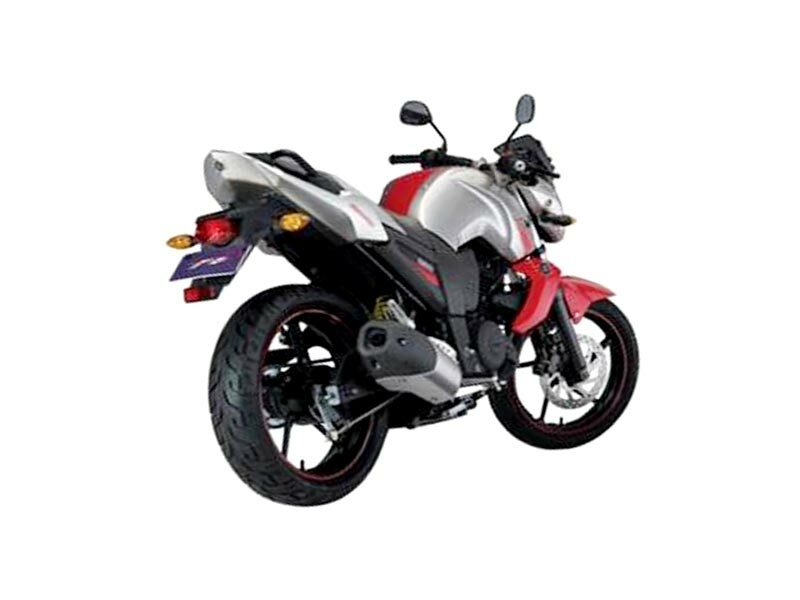 The well arranged specifications of the bike provide a high-level of balance, excellent initial braking performance and good operational touch. Autocar bike of the year, Yamaha FZ gives a decent mileage of 30-35 kmpl. 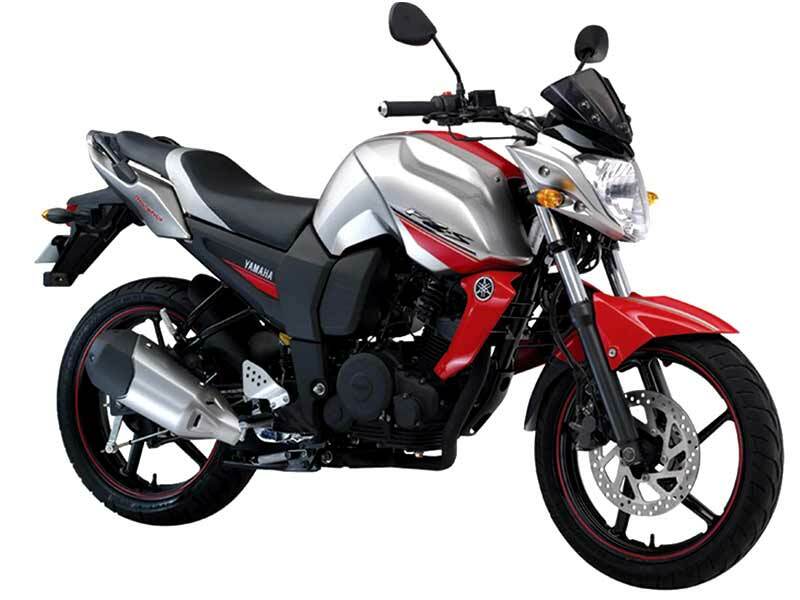 Yamaha FZ-S is available in two colours: Yellow Streak and Silver Tech and is priced at Rs. 67,000/- (ex-showroom Delhi).